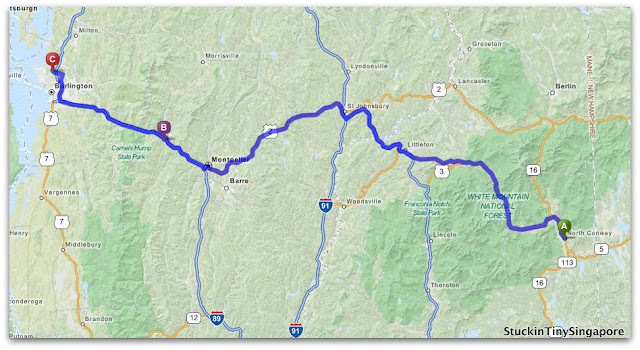 We started Day 3 of our East Coast Road trip leaving our overnight stop at North Conway and headed towards the White Mountain National Park. Originally, we had wanted to hear to Mount Washington and Crawford Notch National Park. However, earlier in the month, the area was hit by Hurricane Irene which resulted in storm damage. Thus some roads were closed, and we ended up going to the White Mountain Area heading towards Vermont. The autumn foliage scenery along the way was spectacular. The colours of the trees ranged from light yellow to deep orange. Truly breathtaking. It was a beautiful scenic drive. Traffic was light. What was nice was you could see quaint New England Houses and towns. Doesn't that look like the Kent's farm in Smallville? 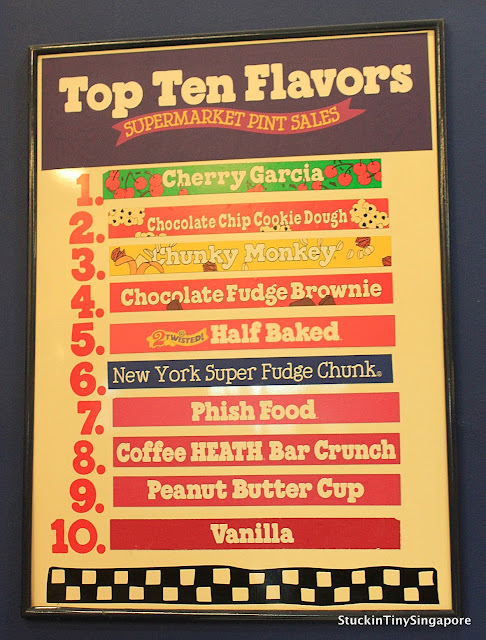 We had one particular destination in Vermont, and that was the original Ben & Jerry's headquarters in Waterbury, Vermont. If you didn't know already, Ben & Jerry's Ice cream originated in Vermont. The pair opened their first ice cream parlour in Burlington, Vermont and now they are headquartered in South Burlington with their main factory in Waterbury. You can take a tour of the factory and eat some ice cream while you are there. Isn't that cool?? Fresh ice cream right from the source! After our ice cream stop, we continued on our way and stopped at Burlington where our hotel was near to and that was where our day 3 in Vermont came to a rest. 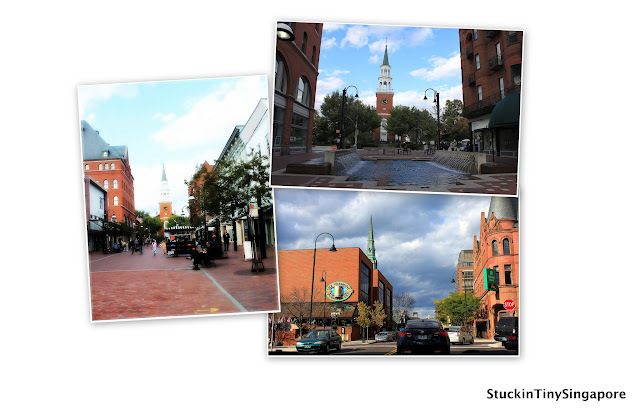 As compared to New Hampshire, Vermont was much quieter and there was less tourists. It was nice in a way, as it was like your own little oasis, discovering little towns one after the other. People were friendly and the area is beautiful. You can enjoy the autumn landscape without having to climb over each other. 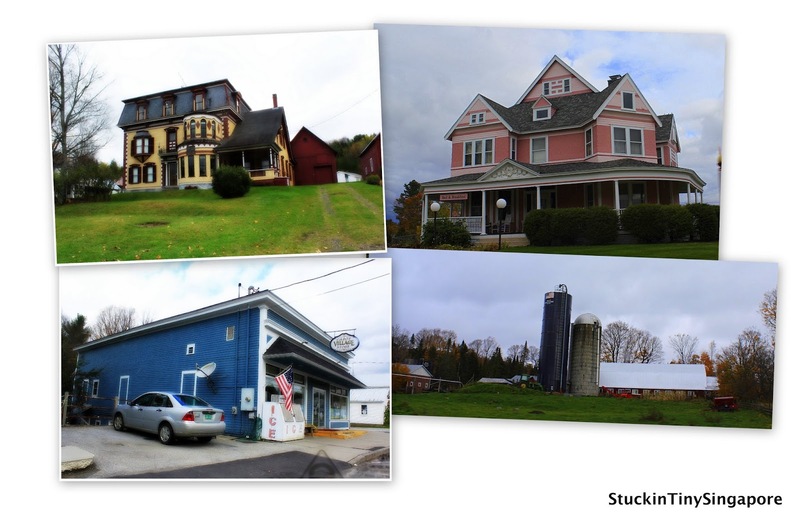 One additional advantage Vermont has over New Hampshire is that it is very much an agricultural area, which means you have lots of wonderful produce, ranging from the amazingly yummy cheese (Calbot Cheeses) to delicious apples and ciders they produce. We even had time for some shopping at a factory outlet in Vermont.